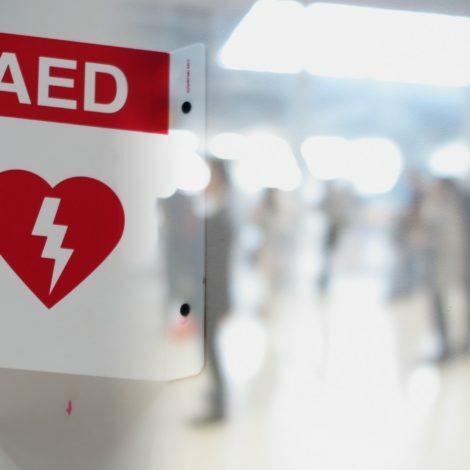 Quick defibrillation is the only proven way to treat a sudden cardiac arrest outside a hospital – without it, a victim’s chances of survival is less than one in ten. You know why you need to buy a defibrillator but how do you actually approach buying one. 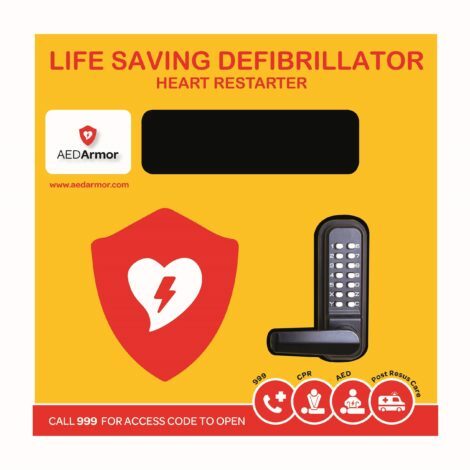 Most importantly you need to buy a defibrillator (AED) that you can depend on in an emergency situation so here are some important factors to consider when buying a defibrillator. Dealing with a sudden cardiac arrest is very stressful and someone without a medical background will often be in a state of panic. 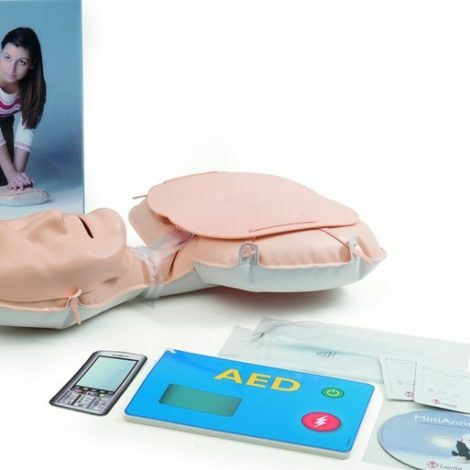 There’s currently no legal requirement for training so your defibrillator must be simple and intuitive so that the user is able to deliver life-saving treatment successfully. 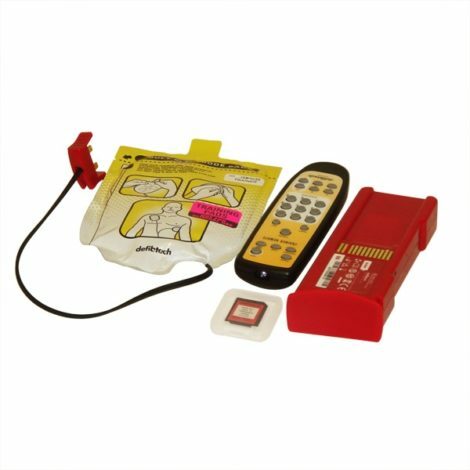 A good AED unit will make all the decisions, provide clear instructions and guide you through the rescue process step by step. This will calm the user, save time and make all the difference to the victim’s survival. An independent usability study has shown Lifeline AEDs to be the easiest to use on the market – the system is foolproof. 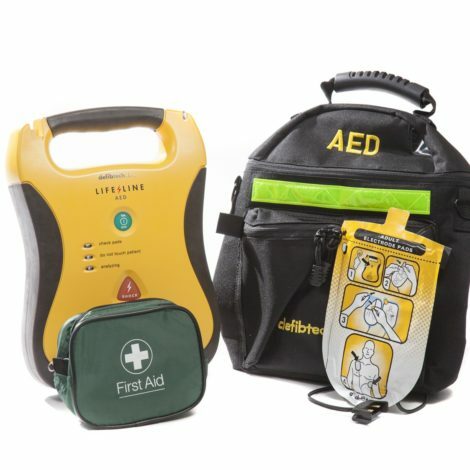 They’re also lightweight and compact for portability, and look sleek, professional and non-threatening, an important consideration for anyone feeling daunted by using an AED for the very first time. Once someone has seen a demonstration and realises that the unit does all the work, they’re usually more than comfortable to use it. There’s a range of equipment available to help with practice and training and, for extra peace of mind, we also offer training courses that can be tailored to your requirements. You never know when or where a sudden cardiac arrest will strike, so you need to be sure that your defibrillator will be effective whatever the conditions. It’s worth finding out what kind of testing an AED has been through to prove its reliability – its Ingress Protection (IP) rating is an important indicator. An IP rating shows how well an AED protects itself from dust and water ingress. The higher the IP, the better protected it is. Your defibrillator could be sitting around gathering dust for a while but it needs to be rescue ready in an instant when you need it the most. 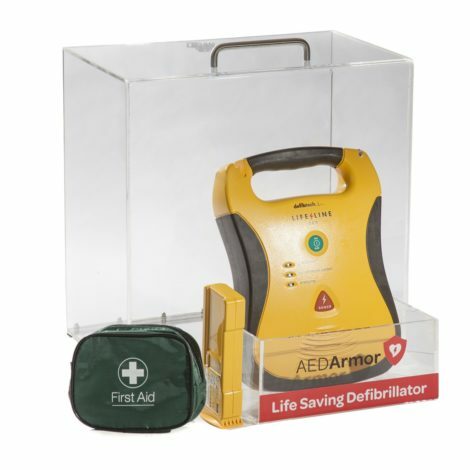 Some businesses may also require a defibrillator with a higher IP rating if their working environment is particularly harsh or extreme. An AED on a construction site, for example, could face more challenges from exposure to dust, dirt or impact than an AED that’s placed in an office environment. 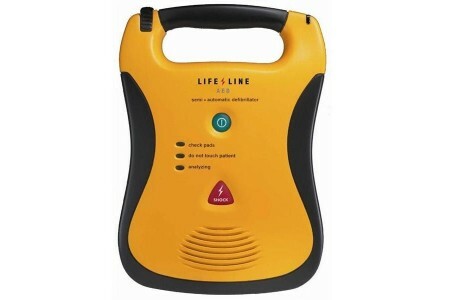 All Lifeline AEDs are rated IP54 to IP55 and extensively tested to US military standards so they’re suitable for even the toughest conditions. 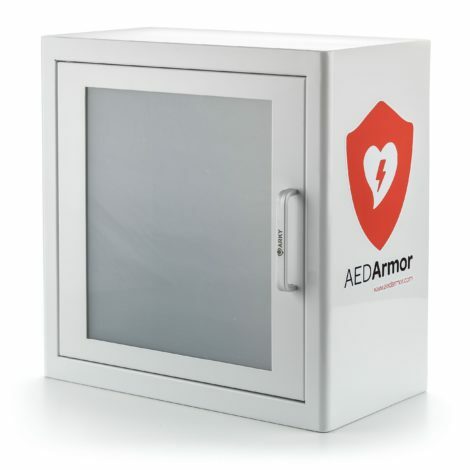 To provide even more protection for your defibrillator, it may also be worth considering one of our range of cabinets that have the added benefit of ensuring the unit is easily identifiable in an emergency situation. 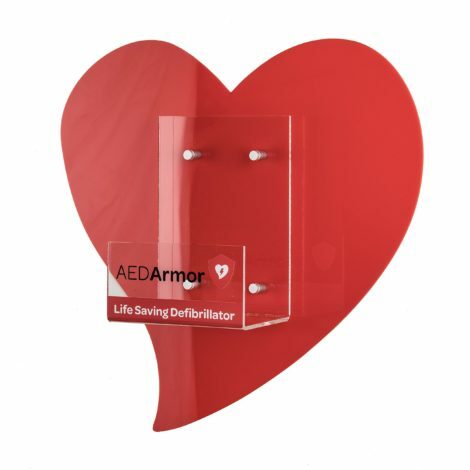 Because an AED can be quite a serious financial investment, you should feel reassured that your device is protected under warranty in case anything goes wrong. 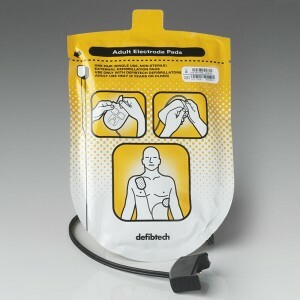 Warranties for portable defibrillators tend to provide cover from anywhere between 2 and 8 years. 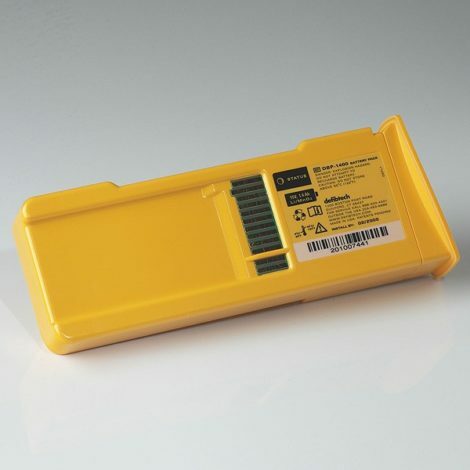 The longer the warranty, the more reliable the AED is likely to be. 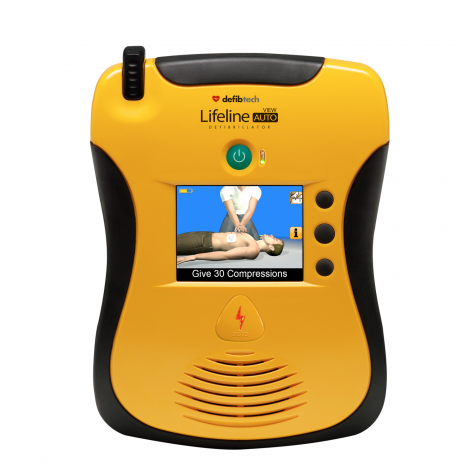 All Lifeline AEDs are covered for 8 years – they’re the only defibrillators on the market to offer a warranty of this length. 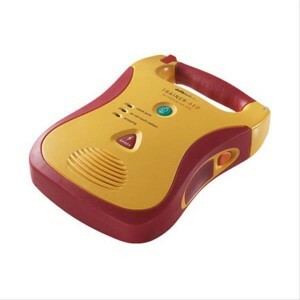 The main battery on an AED provides the vital shock that could save someone’s life. This battery’s lifespan will reduce with every shock and, even if the device is never used, its power will still diminish over time. When considering a unit, look for the number of years and shocks that its battery will provide. You’ll then be aware of how often it will need replacing and can factor this frequency into the cost. A long battery life may make the initial purchase price a little more expensive, but it does mean that you won’t have to worry about replacement batteries quite as often. 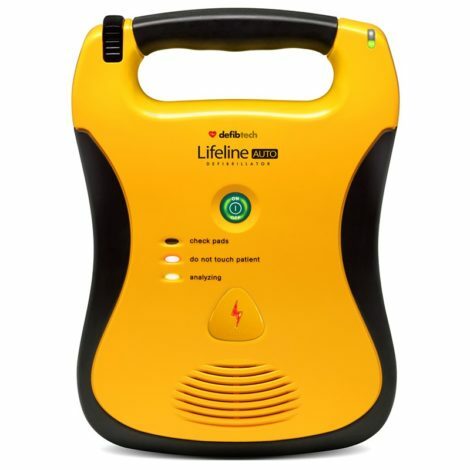 All Lifeline AEDs have batteries that will last for either 5 years (125 shocks) or 7 years (300 shocks). Their self-test function also performs automatic testing of battery levels and circuitry to help keep their maintenance as hassle-free as possible. Have you considered all these important elements when buying a defibrillator? 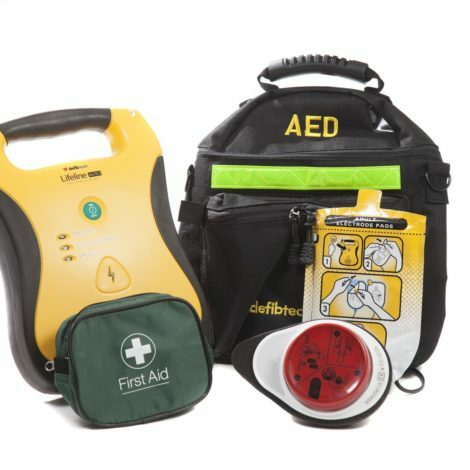 To find out more about our market leading range of AEDs, click here.